2nd ESTRO Physics Workshop. 26-27 Octubre 2018. Málaga. This workshop offers opportunities beyond what ESTRO offers in educational and scientific meetings. 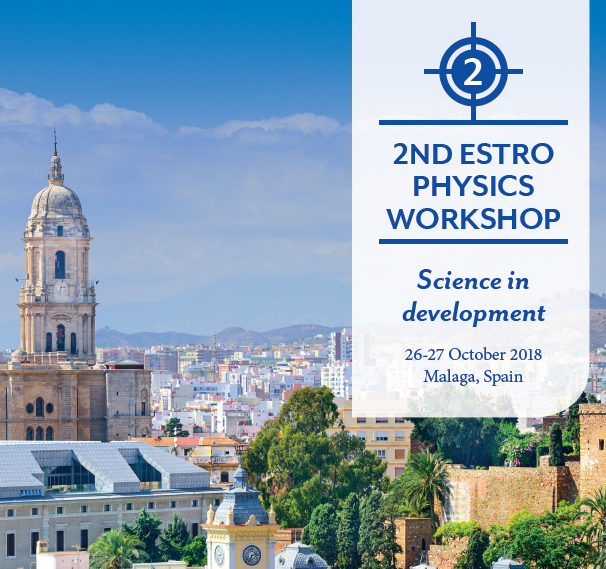 It aims at facilitating scientific and professional networking opportunities within the ESTRO physics membership, physicists working in other areas and furthermore, create close interaction with developers in companies. It is the perfect forum to share projects in their very initial state, that would benefit from discussions with colleagues. We believe that by promoting these interactions we will capture scientific developments that could be applied and have a real impact on the cure for cancer. The programme will open with a plenary lecture, then break out into different topics that will run in parallel.